The Brazilian dam collapse was the second such tragedy in a number of years. The evidence suggests authorities and the mining companies responsible failed to learn from previous mistakes. The recent dam collapse in the Brazilian village of Brumadinho, in the mining-heavy state of Minas Gerais, is arguably one of the worst human and environmental disasters in the nation’s history. It has been reported 142 people were killed and another 194 are still missing after the disaster which struck on 25 January. Local people from Brumandinho have said nobody has escaped the tragedy – everyone had a friend, a family member or an acquaintance that has either been killed or is still missing. In a similar incident in November 2015, a larger dam in Minas Gerais burst in the village of Mariana killing 19 people and causing a similar environmental disaster. The Mariana dam was run by the Samarco Company, a joint venture between Brazil’s Vale SA and BHP Billiton. In that tragedy, the mine’s toxic mud buried the entire village of Bento Rodrigues, contaminated the Doce River basin and left approximately 280,000 people without water. The environmental impact was catastrophic, with the toxic waste travelling through Brazil’s waterways and reaching the Atlantic coast. Brazil is a country experiencing deep economic hardship and increasing political polarisation. The pressing question now is: did Brazil learn from the 2015 Samarco dam disaster? The loss of human life caused by the Brumadinho dam disaster is far greater than that of the Samarco dam spill three years earlier. According to Vale’s president, Fabio Schvartsman, with the latest dam burst, a torrent of toxic waste and mud tore through the mine site engulfing its offices and cafeteria. Additionally, television footage showed a wave of reddish mud engulfing the green hills surrounding the mine, levelling farms and residential areas. Brazil’s authorities are increasing efforts to prevent the toxic mining water from reaching the San Francisco River, one of the largest and most important in the region. Environmental journalist Andre Trigueiro has argued not much has changed at Brazil’s mining sites since the 2015 Samarco tragedy. According to Trigueiro, Brazil has not implemented the necessary changes in its mines’ safety protocols. Trigueiro said: ”Brazil has not learned from the lessons in Mariana. It is shameful for Brazil’s reputation.” There are also problems with the enforcement of Brazil’s environmental legislation. Trigueiro said Brazil’s environmental laws and guidelines “look good and progressive on paper” but the reality on the ground is different, as laws are not properly enforced. Additionally, it is reported that the mine’s emergency sirens did not work as they should have. Schvartsman said that the dam burst at an “unusual speed” and “due to the speed of the dam’s spill the sirens did not work.” Nevertheless, experts argue that there should have been a backup siren to ensure workers’ safety and to protect the local community. The full environmental impact of the disaster is still unknown. Professor of biology at FAESA University in Brazil, Thiago Gaudio has said: “we are concerned with how this will spread out across the region. If we have showers, it will increase the influx of toxic mud and spread more rapidly.” Professor Gaudio also said the full environmental impact of the 2015 disaster in Mariana is still unknown: “the toxic mud continues in the soil and water for many years. 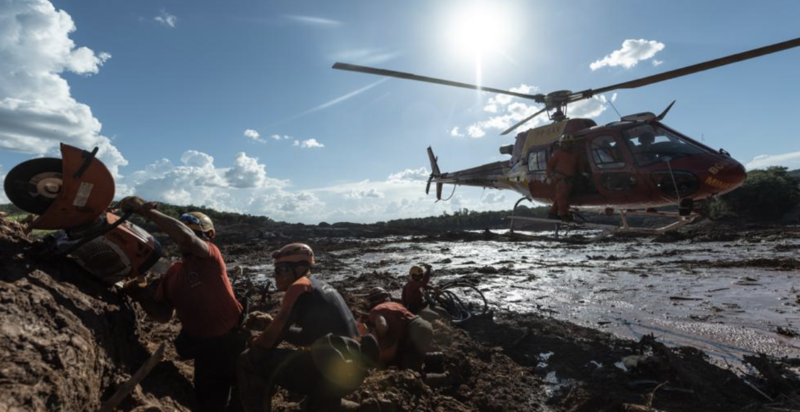 It is still unknown the disaster’s dimensions and future problems.” Hence, it is hard to assess the long-term environmental impacts in Brumadinho. Last week the United Nations called for an official investigation into the disaster. Baskut Tuncak, a UN expert on hazardous substances, said that Brazil’s latest dam disaster should be investigated as an environmental crime and a human rights violation. Tuncak also urged Brazil to prioritize dam safety evaluations and suspend tailings dams – the specific type of dam built from earth-fill embankments to store by-products from mining that collapsed in both the Brumadhino and the Mariana incidents – until the safety of workers can be ensured. In spite of UN suggestions and international dam safety guidelines, Brazil’s authorities and Vale ignored the UN’s concerns regarding Brazil’s mining sites and changes were not implemented after the Samarco collapse. Tuncak has argued that, instead, Brazil’s authorities have continuously diminished the safety protections for mine workers and those living nearby areas dealing with toxic substances. According to Tuncak, this has demonstrated a blatant disrespect for these worker’s and those communities’ most basic human rights. A Brumadinho judge has requested the arrest of several Vale executives who were responsible for the mine’s safety. They included the mine’s geologist, the environmental engineer and the company’s executive manager for the area. According to Brazilian Criminal Law, they can be arrested as a preventive measure for up to 30 days. It appears that inspections at the site were not done correctly and this resulted in the mass loss of life and large-scale environmental damage. The Brumadinho dam disaster presents tangible evidence of Brazil’s abandonment by state authorities and the Vale executives blatant disregard for human rights protections and the environment. Arguably, the system implemented in Brumadinho was outdated and the cheapest available, increasing risks for workers and to the local community. This dam extraction technology is similar to the one used in Mariana and one of the leading causes behind the Samarco disaster. After the dam collapse, Brazil’s far-right President Jair Messias Bolsonaro tweeted: “We will do all we can to reach out to the victims and minimize damages, find out the facts and pursue justice to avoid new tragedies similar to Mariana and Brumadinho, for the good of the Brazilian people and the environment.” The day after the dam collapse, President Bolsonaro flew over the site by helicopter and created an Advisory Ministry for Disaster Supervision and Enquiries consisting of ten Ministers. He also accepted Israel’s offer to send Israeli soldiers to assist Brazil’s rescue missions and assistance of victims. However, President Bolsonaro also vowed during his presidential campaign to roll back Brazil’s environmental laws. A few days before the dam tragedy, Bolsonaro declared at the World Economic Forum in Davos that Brazil is committed to taking care of the environment. But he also said that it is paramount to make Brazil’s environmental laws and environmental policies “more flexible” to deepen Brazil’s integration with the global economy and to implement his “great Brazil” project. 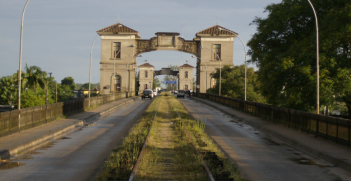 The abandonment of Brazil’s population by state authorities increases Brazilians sense of despair and its democratic deficit. Arguably, Brazilians’ political disenchantment and distrust with democracy have been gradually increasing, resulting in the election of its far-right president. According to a recent Datafolha survey: 16 percent of Brazilians support torture as a means to obtain confessions; 43 percent of Brazilians believe social media content should be controlled; 24 percent of Brazilians do not support workers’ rights to strike; and 33 percent of Brazilians support the notion that some political parties be banned. Additionally, 50 percent of Brazilians believe that Brazil could be facing a new dictatorship. 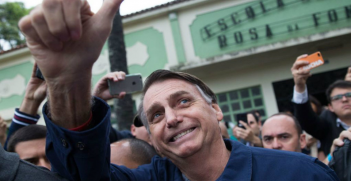 Regrettably, under the current state of abandonment and despair, Brazil’s far-right populist politicians and their messianic narratives might increasingly gain political support. 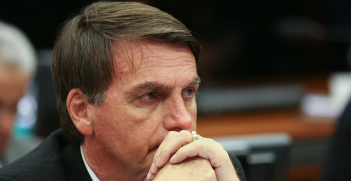 President-elect Jair Bolsonaro’s proposal to move the Brazilian Embassy in Israel from Tel Aviv to Jerusalem puts his ability to handle Brazil’s foreign policy challenges into question.